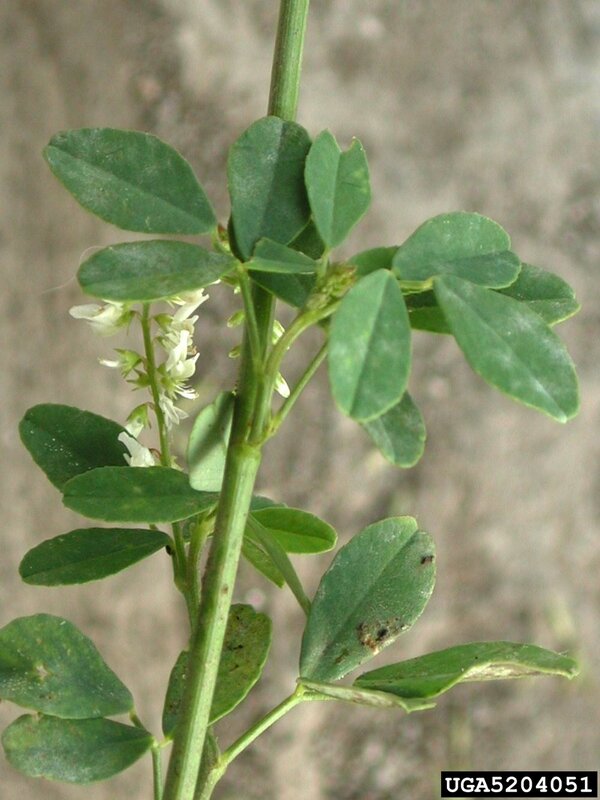 Family: Pea family (Fabaceae) Reasons for concern: This plant is now naturalized over most of North America. 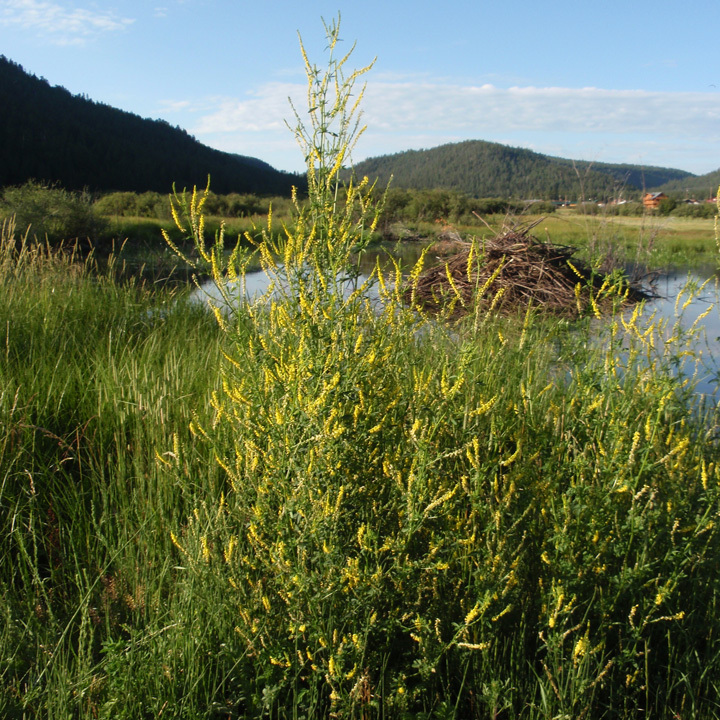 It has a negative impact on wildlife habitat because it reduces native plant diversity. It can easily take over natural areas by overtopping and shading native sun-loving plants, significantly reducing native plant diversity and the pollinators which are dependent on them. Botanical description: Tall, branching herbaceous plant. Leaves: Three leaflets for each leaf. They are wedge-shaped to elliptic, 1/3 to 1 ½ inches long and up to 2/3 inches wide, toothed along the edges, hairy or smooth, and on short stems. Stem(s): Slender. Erect. 2 to 6 feet tall. Many-branched above. Flowers: Yellow or white, both fading to cream. Sweet-scented. 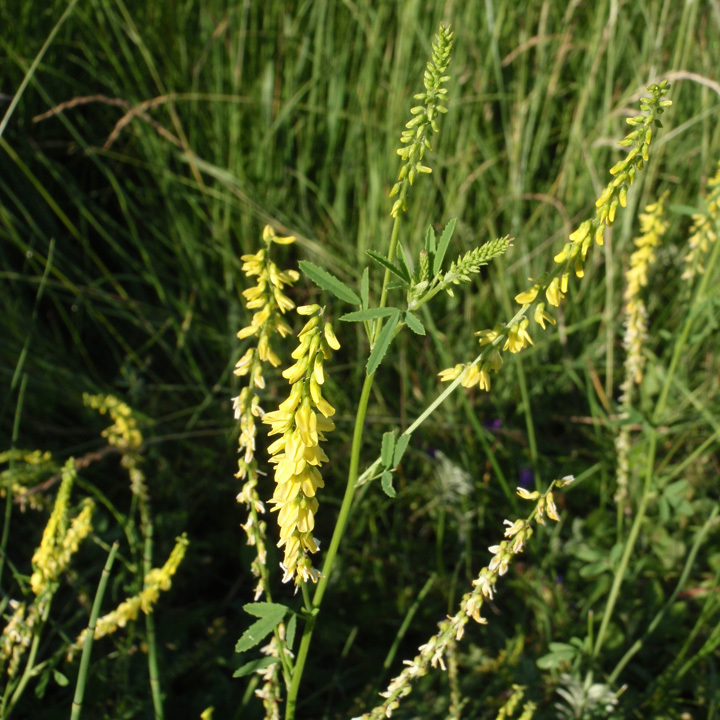 Small pea-like flowers growing on slender spikes. Flowers appear spring through summer. Flowering occurs from May until frost. Seeds: Hard seed coat makes them viable up to 30 years and winter hardy. Drought tolerant. Dispersed by water and wind. Where it grows: Full sun to partial shade. Invades disturbed areas and open habitats, such as roadsides, abandoned fields, pastures. 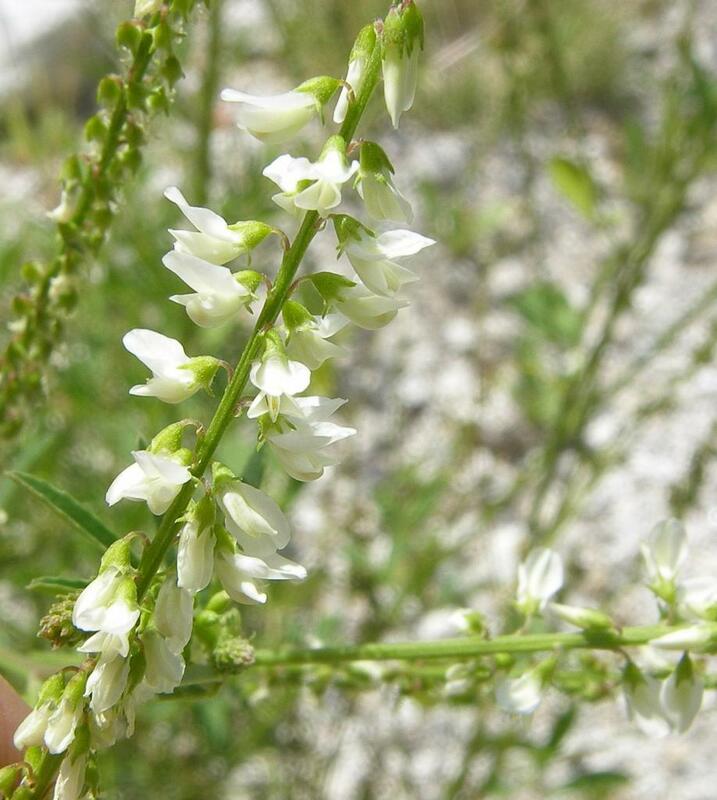 Often in native plant communities throughout North America at elevations from 5,000 to 10,400 feet. Most common in moist areas. Also common in areas populated by desert shrub, sagebrush, pinyon-juniper, ponderosa pine. 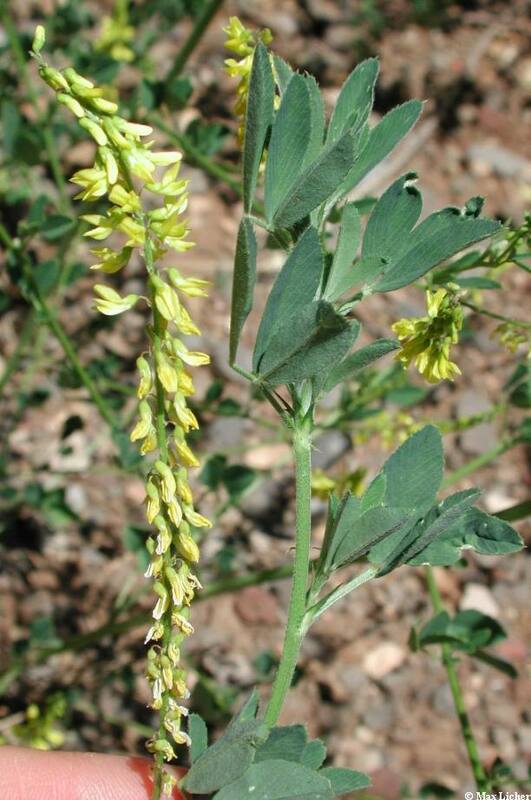 Weedy characteristics: Sweetclover easily invades open areas and competes well for resources. Its seeds are viable for decades. Control strategies: Hand pull seedlings. Dig out larger plants before seeds are set. Step down any soil disturbance. Do not let them go to seed. Possibly cut down to ground level just before flowering. Cut stems can re-grow, so monitor well. 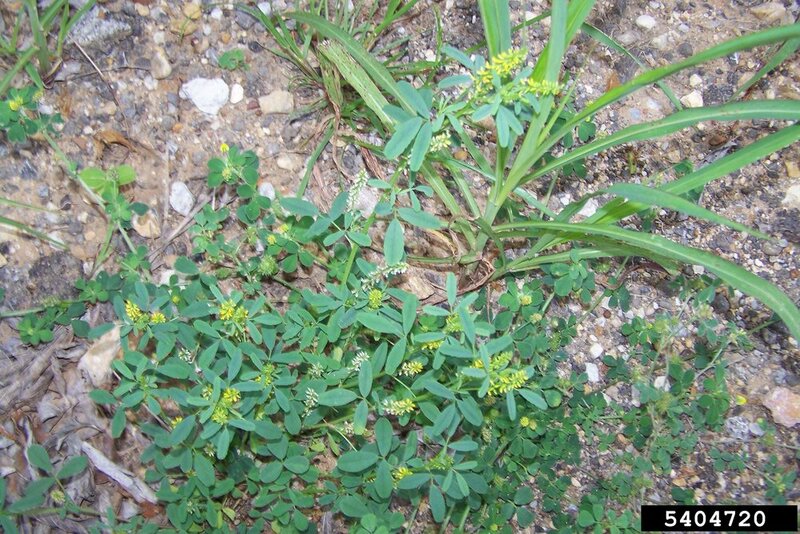 Plant desirable species to outcompete invasives.